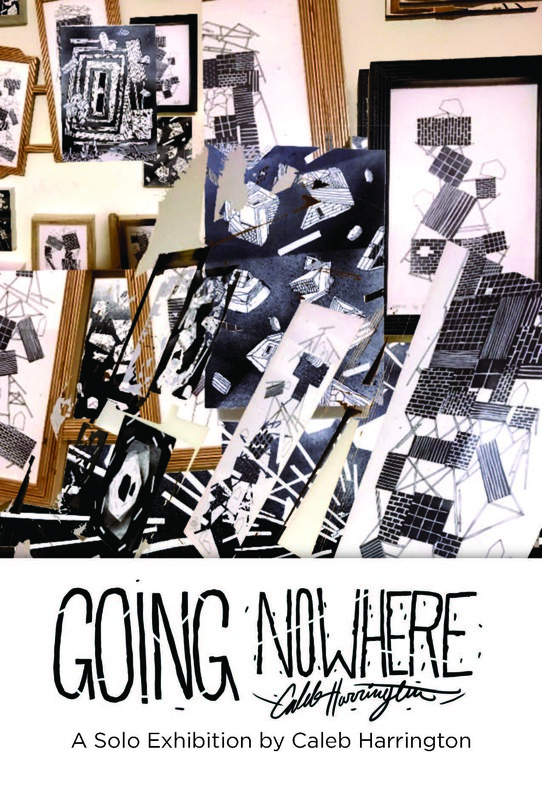 Caleb Harrington’s Solo Exhibition, Going Nowhere, will be on view in The Evelyn Peeler Peacock Gallery from April 15 – May 10. A public reception and artist talk will be held on Friday, April 26th from 5-8pm. Caleb Harrington is a barista and artist based in Upstate NY. His work blends traditional printmaking with the ideas and mixed mediums of contemporary suggestivism.